With some of the liveliest looking flowers, marigolds are excellent indoor and outdoor ornamental plants. Coming in a wide variety of colors, such as orange, red, yellow, and white, marigold plants stay in bloom for a very long time. Marigold flowers can maintain their vigor from halfway through the summer, until it snows. Marigold plants can also range in height, from less than a foot to four feet. For their beauty, marigolds are relatively low-maintenance and have a very rapid growth rate, even if you plant them indoors. 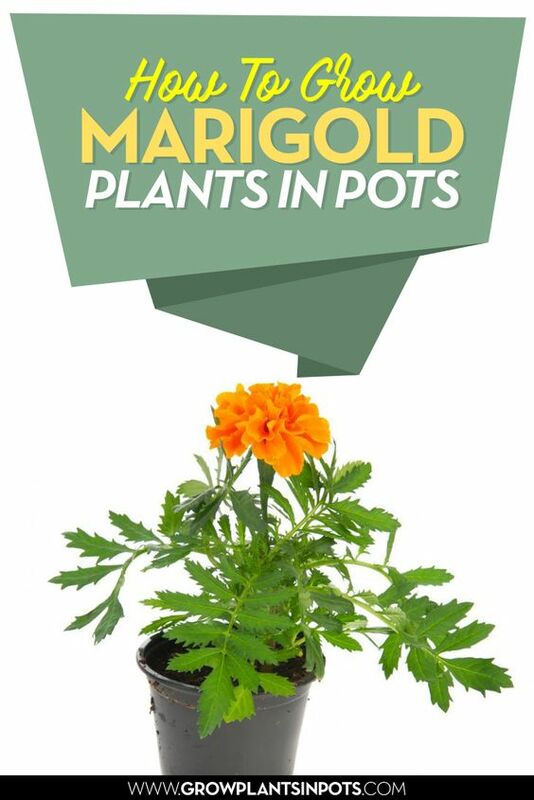 Here are some tips to help you grow marigold plants in pots. Research: It pays to know more about the marigold plant, and which type you can grow in a pot. Marigold plants generally fall into three species: Tagetes erecta, otherwise known as African or American marigold plants; Bushy T. patula, also known as French marigolds; and T. tenuifolia, which is also known as signet or rock-garden marigolds. African/American marigolds can grow into heights of three to five feet. French marigold plants can grow from six inches to two feet. Lastly, the signet marigold plant thrives in dry climates, and has edible flowers. Placement and soil: Potted marigold plants thrive in areas with lots of sunlight. You can place them in places with partial to no shade, to maximize their chlorophyll production. Use well-drained and moderately rich potting mix when growing marigolds in pots. You can start planting your seeds outdoors as soon as the soil is warm. When planting indoors, place your marigold seeds in your potting mix for at most six weeks before spring. Fertilizer and water: Marigold plants in containers don’t need fertilizer. In fact, fertilizing your potting mix may compromise the blooming of your potted marigold flowers. Instead, it will turn your plant into a bush. In addition, water your plants at their base, instead of their tops. Never allow excess moisture to accumulate. Plant care: While marigold plants can fend off pests and parasites on their own, they are quite prone to diseases such as gray mold and leaf spot. 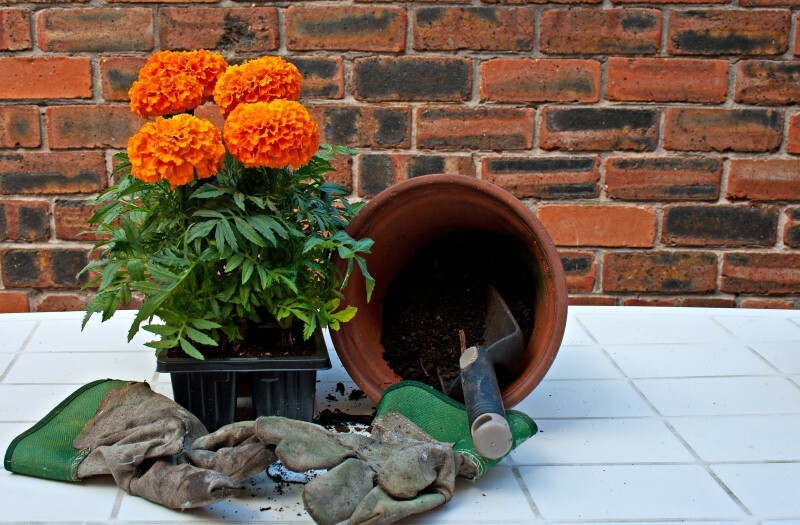 Take precautionary measures when pruning and deadheading, and quarantine any diseased plants to prevent the infection from spreading towards other potted marigolds in the vicinity. Harvest: When your marigold plants are in full bloom in their containers, you can harvest their flowers. Get rid of their distinct scent by removing any leaves that have been submerged. Also, deadheading any wilting flowers in your potted marigolds will facilitate rapid re-blooming. Will you grow Marigold Plants in Pots soon? Marigold plants, for their rapid blooming rate and vivacious appearance, make for low-cost, low-maintenance plants for your garden, front porch, or your indoor spaces. They are very popular additions to flower arrangements, and are often used by florists everywhere. With plenty of sunlight, enough water, and just a little fertilizer, you can ensure full bloom out of your marigold plants all the time. In fact, you can leave them with little supervision, and they will stay in bloom for a very long time. Follow these tips on growing potted marigold plants and impress your friends and loved ones.